It's a well know fact that I am a foodie. Many a times my day starts and ends with the thought of my next meal. 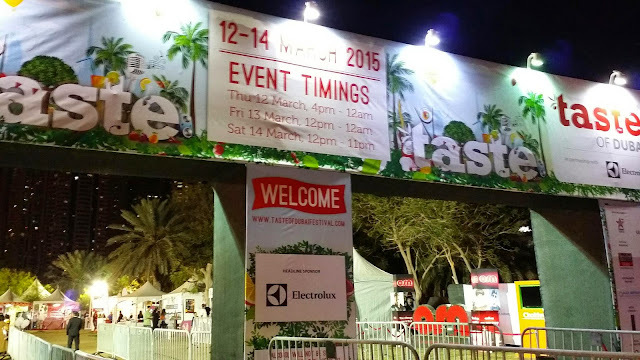 So when it was time for Taste of Dubai, how could I resist! 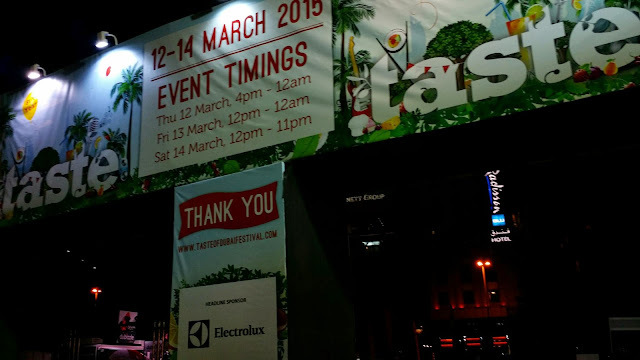 The festival was a good mix of restaurants, cafe and food makers showcasing the best they had to offer. 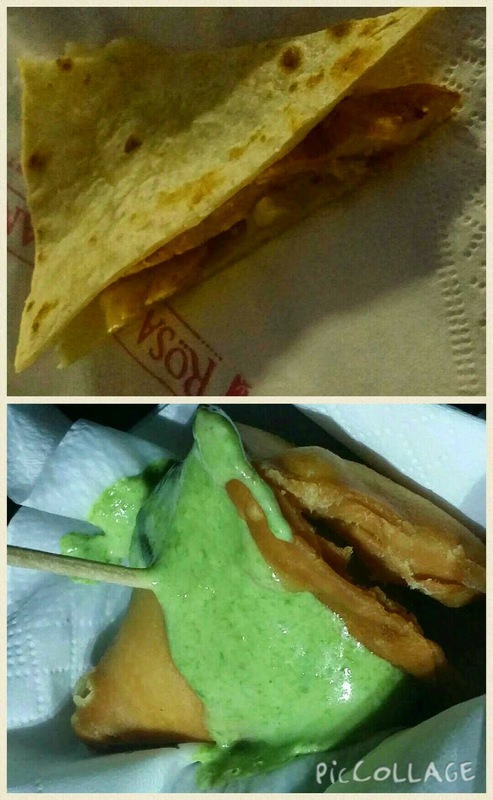 I tasted everything creamy guacamole and crunchy nachos to perfectly cooked pasta, from hot and crispy Punjabi samosas to compliment the chilly evening to natural energy drinks to keep me going. The evening was not just about tasting food, but also about food services, food providers also about learning how to cook it. 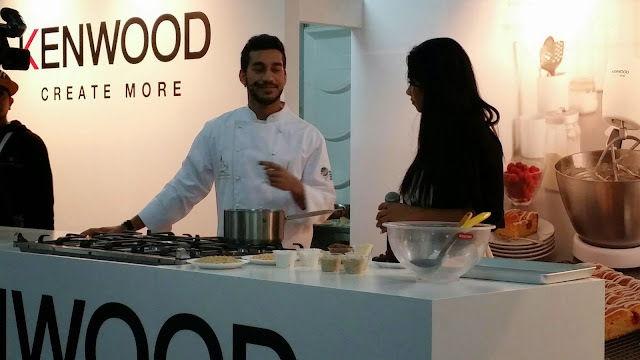 I signed up for a cooking session with Chef Bader AlAwadi. Lucky for me, on the menu was dessert! We were making rice crispy date cakes (that may not be the exact name). 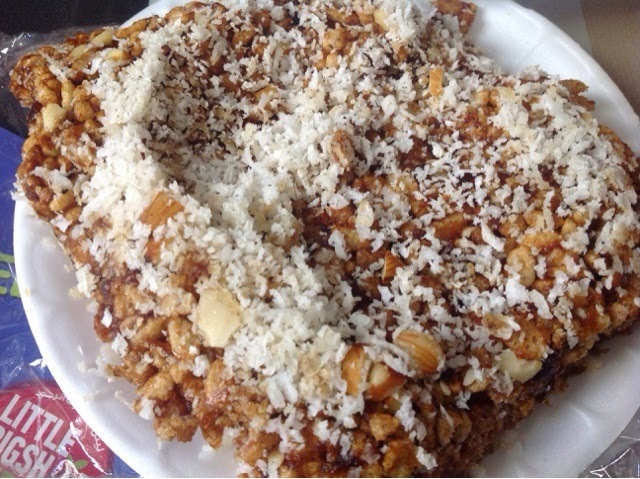 The recipe involved making date syrup from scratch and then adding the rice crispy and nuts to it. So as you can guess there was a whole lot of mixing, which was almost like a workout. Good thing I burned off some calories before indulging in my sweet efforts. 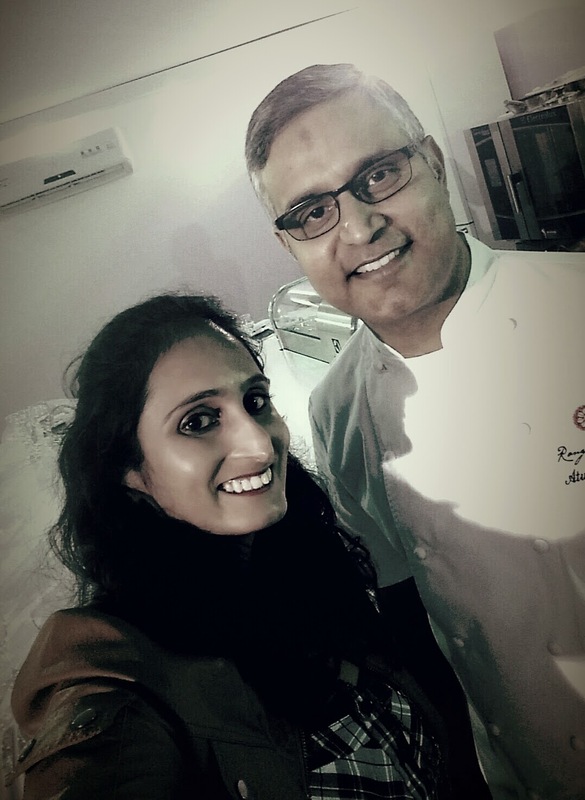 As much fun cooking was one of the best part of the evening was having the opportunity to interview the first Indian to receive Michelin star, Chef Atul Kochhar. Chef Kochhar, who is born and brought up in India has a number of restaurants and TV shows to add to his culinary glory It was refreshing to interview someone so honest and fun. I had a good laugh throughout. Curious? Read on to know what Chef Atul Kochhar had to say about Street Food, Indian Cooking shows, Chef Sanjeev Kappor and Cricket! 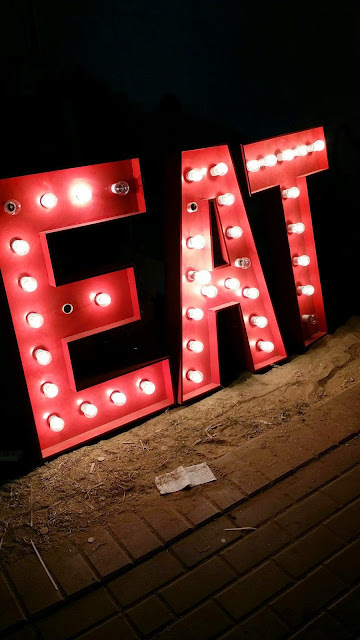 Me - Gourmet cooking is what your restaurants are famous for, it is your forte, but what is your take on street food? Chef Atul Kochhar (AK) - I love street food, I think that's where everything started really. Street food, not just in India but from around the world continues to be an inspiration. Whenever I travel, few things I like to do is try any form of Indian food that exists in that country and also their own form of street food. Me – How do you view the different versions of Indian cuisine around the world? AK – Different people perceive it in a different way. Indian food in its pure form outside India and sometimes even a bit better – I say this because I maybe be a little bias - is the UK. 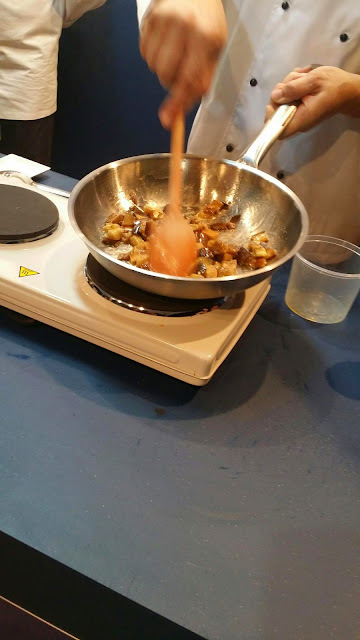 It is purely because of the quality of ingredients, technology and the way we can exert our skill on those ingredients with different techniques. Take a look at Indian food in Italy, it’s is very small and dismal and perhaps you wont even recognise it as Indian food. Some of them are doing a good job, I shouldn’t take that away but majority of the people actually have no clue and most of the time its not the cuisine that dictates that we should be like this, it’s the people of the host country dictate how they want to accept that cuisine. It has been happening for ages. For example French food in India has a lot more garlic and chilly going into it, otherwise we wont find it palatable. We need that spice element in it. If a French man ate Pot-au-feu in Delhi somewhere, he will have a heart attack, "what the hell is going on here!" will be his reaction. I think it’s the same way, there is a little bit of shock element ever time I try Indian food in different parts of the world. It is indeed a learning process, which shows us how people have perceived it and what they want out of it. Every wants something out of something whether is a cuisine or a concept, it’s as simple as a clothing or design concept, people perceive it in their own way and they develop their own way of portraying it. Me – I hear you are on a look out for your restaurant Vatika, have you considered India as an option? AK – Yes, we are thinking about India but Vatika was a very different kind of concept, it was a huge celebration of Indian and British culture. Therefore, there was a massive fusion of the two and it was in a vineyard. The people who came to the vineyard would experience a very different kind of cuisine. A little spicy cuisine but the vineyard would take them down the memory lane of their own British food as well. For India, it needs to be a different kind of Vatika because I do not think that formula would fit. Me – Which part of India did you spend you grow up in? AK – I was born and brought up in Jamshedpur, but my family is from Punjab and I studied in Chennai, so I am an all rounded Indian! Me – On the subject of being Indian, I hear you are a big fan of Cricket? AK – Yes Big time! Me – Are you following the World Cup? Me – That is amazing, so if or I should say when (fingers crossed) India wins the world cup, which celebratory dish would you cook for the Indian team to commemorate their victory? AK – Oh Wow... That is a big thing; nobody has ever asked me about that! AK – I would go down to my grandmother’s recipe, which she used to make. Rajma (Red Kidney Beans) with Shalgam (turnips). 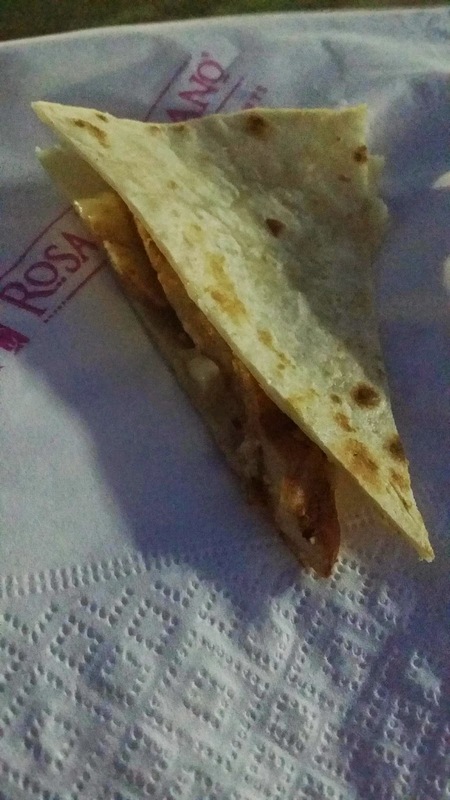 She used to serve it with rice and sometimes Makkai ki roti. I am sure they would appreciate something like that, very traditional, very old and it is a classic recipe and I would cook it exactly the way my grandma used to cook. It may not be as good as her's but I will try! Me – You already got me hungry! Since no celebration is complete without dessert, what would you pick? AK – When it comes to celebration of Indian events, I always lean on Kolkata. In my opinion, nobody makes better sweets than they do. I am an eastern boy I grew up in East India so I have a sweet tooth, I would go with something like Misti Dhoi (A kind of sweet yogurt) which is an amazing dessert. Moreover, I would create a new way of putting it across. Maybe mix in some fruits, play around with the texture of the yoghurt to create something quirky and beautiful. Me – Moving from international sports to International TV, you have been on a number of TV shows around the world. Would you ever make an appearance on a TV cooking show in India? AK – I contemplated being on Master Chef India for a long time and came close to being a judge of that as well. When it came to the cutting line, and I saw the way things were run, I realised it is not my cup of tea. The first thing was that they make far too many episodes... faaar too many episodes. To be honest who has time for 60 – 70 episodes. Looking at Master Chef India I thank my stars that I am not a part of it because it runs like ‘Saas Bhi Kabhi Bahu Thi.’ I do not intend to get on that, ever! Me – Would you ever do a TV show in India? AK – Maybe if it is my kind of TV show. I started my TV career in the UK and call me stiff lip if you may but I like it that way, with precision and discipline mixed in with some culture and I think that lacks in India. Looking at Master Chef India, they are just crossing the boundaries all the time and I am not a fan of it. I am being honest. I respect Chef Sanjeev Kappor a lot. He has been a huge inspiration in my life to be honest when I set out to be a chef. It will be right to say when I was in my shorts he was on TV. I do not know how he still manages to look so young, I need to learn that from him. He is a big inspiration! Me – How well does Indian cuisine, the way it presented and not just on the plate, measures up to International standards? 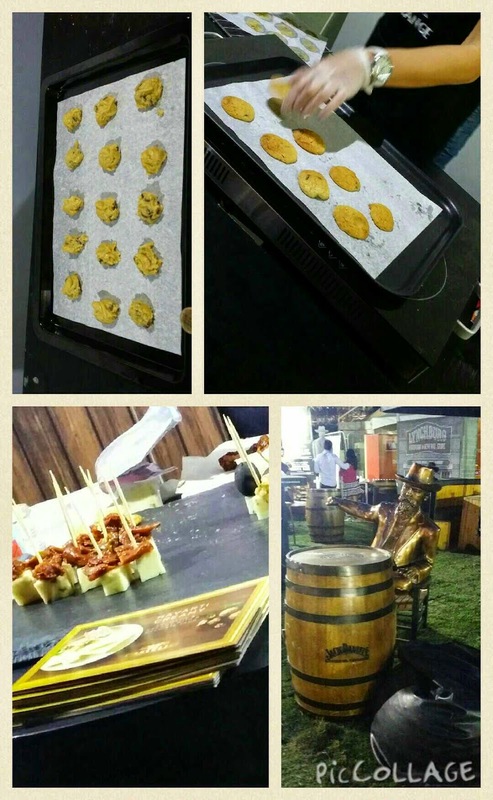 AK – We Indians have always missed the boat when it came to refining our cuisine. We are either do not like it or snort our faces to the authentic. 90 per cent of our population does not understand want authentic means. They are very quick to comment and say ‘it’s not authentic’. If you ask them to define authenticity, they would not know it, because authenticity is actually time bound. What is authentic to you and I was not authentic to our grandparents and definitely would not be to our kids and their kids. So I think we need to give authenticity a rest, it does not need to be there. 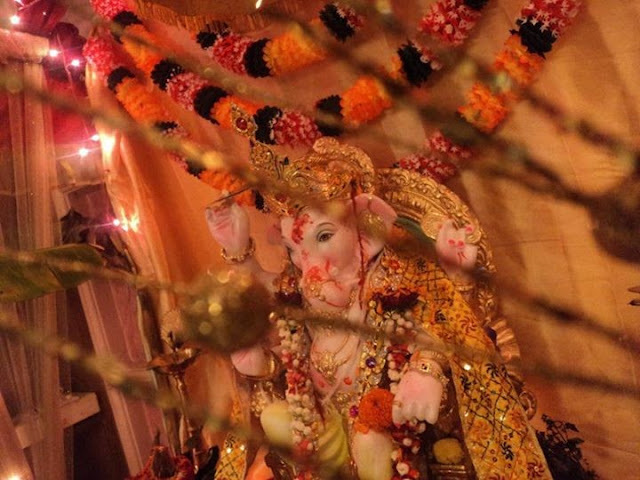 Tradition is something that we need to follow and adhere to in my opinion. Our tradition is to cook with spices. If our grandmother or great grandmother was cooking on cow dung, you and me, we do not have to do that, we have gas, we have induction, and we have electricity. Our future generations may not even use all of this; maybe they will just use waves in the air to cook the food, who knows, what is coming next. However, if we forget our tradition of cooking with spices, mixing of the spices and the way we do things in the north, south, east, west, if we forget all that, then we are not being authentic, or traditional. So follow the tradition and forget the authenticity. 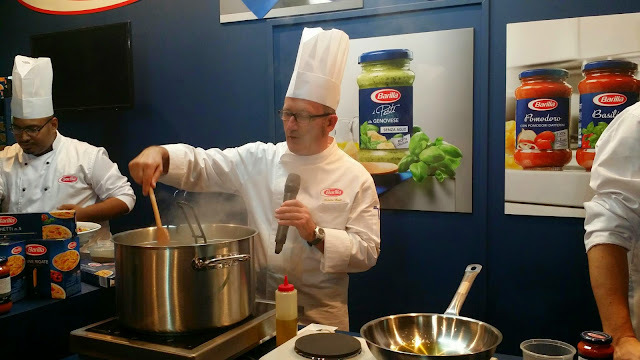 Me – Speaking of traditions, any tips for our traditional home cooks? AK – Keep doing it, because you people are an inspiration. It is the homemaker who has very limited resources and yet she manages to cook three to four meals a day, sometimes even more and puts a smile on everyone’s face in the family and all those guests who come unannounced in India. From that point of view, I love them and they will remain a huge inspiration for very long time to come. Me – It has been fun and an absolute pleasure to interview you, before I take your leave, are there any hidden gems from around the world you would like to share with my readers? AK – There is a restaurant in Kolkata called QP, which means doll in Bangla if I am not wrong. It is a tiny little restaurant, ask any Bengali they would know it, but they do not want to share it with the world because it will become too busy. That is one place I consider wonderful. There are old jaunts like Kareem’s in Delhi, Standard in Chennai, Bade Miyas in Mumbai. These places will always remain what they are and continue to inspire the generations. 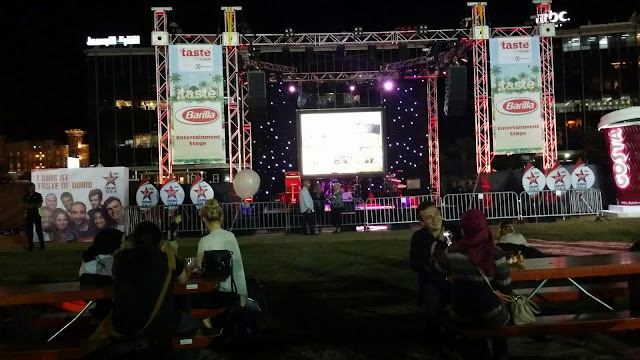 There you have it folks, a glimpse into Taste of Dubai 2015. I not only learnt how to cook something new, but also met a plethora of interesting people, drolled over picnic baskets, found out about organic places in Dubai also satisfied my hungry pangs. The sweet, spicy, tangy and smoky aromas of the food lingers in my head as I write this. I think its time for me to go grab a snack. You make sure you come back for more interesting posts and remember to follow @komalrlakhani on Twitter and Instagram for live updates, photos and videos.